We start with a whole lot of fresh fruit & vegetables sourced from local Australians Farms that provide us with chemical free produce. Every new season, our team spends time researching what is in season so our range can evolve with the changing seasons. Next, we thoroughly wash our local produce and then cut and prepare the fruit and vegetable for the juicing process. Our prepped vegetables then move to the refrigerated juicing sector where the produce is cold pressed into liquid. Cold Pressing is a superior method of juicing that does not apply any heat or friction, thereby preserving all the fragile nutrients and enzymes present in the juice. 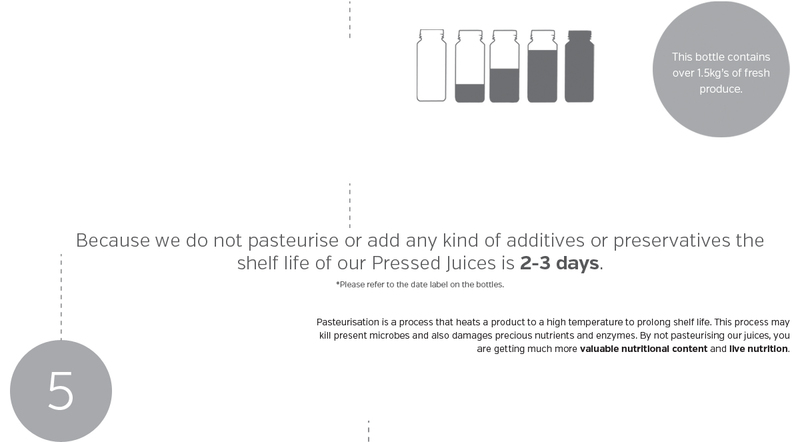 At Pressed Juices, we use high quality cold press machines, in an entirely refrigerated kitchen, to ensure the best possible conditions for juice pressing. Once the juice has been pressed it is immediately bottled and sealed instantly to ensure the juice is not exposed to oxidization. It is uninterruptedly refrigerated to ensure nutrient loss is minimal. 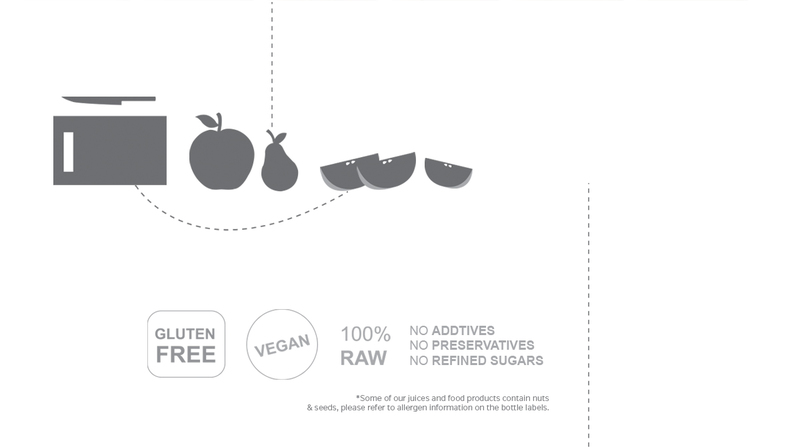 Our juices are cold pressed daily, within 24 hours of sale, to ensure you have fresh juices, every day. Our juice vans leave for our Pressed Juice stores that day to stock our fridge shelves with fresh cold Pressed Juices everyday. 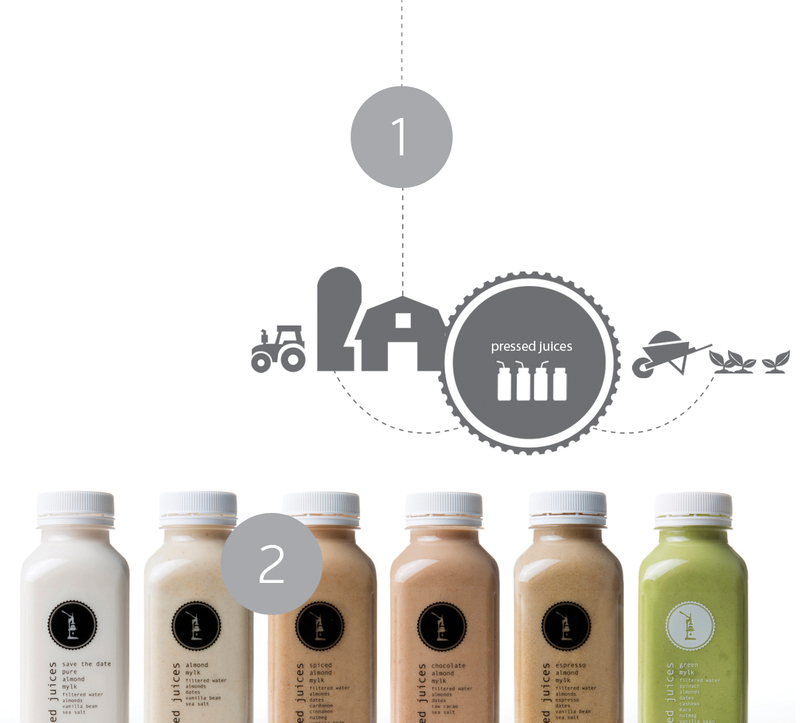 We can deliver your favorite Pressed Juices, straight to your home or workplace. Delivery is available to selected metropolitan areas across Australia, Monday to Friday. All our juices are delivered to our stores daily where we stock cold pressed juices, nut mylks, smoothies, organic elixirs and a food range. Each of our stores are managed by a qualified Nutritionist who are available to chat to at any time about your health and wellness. 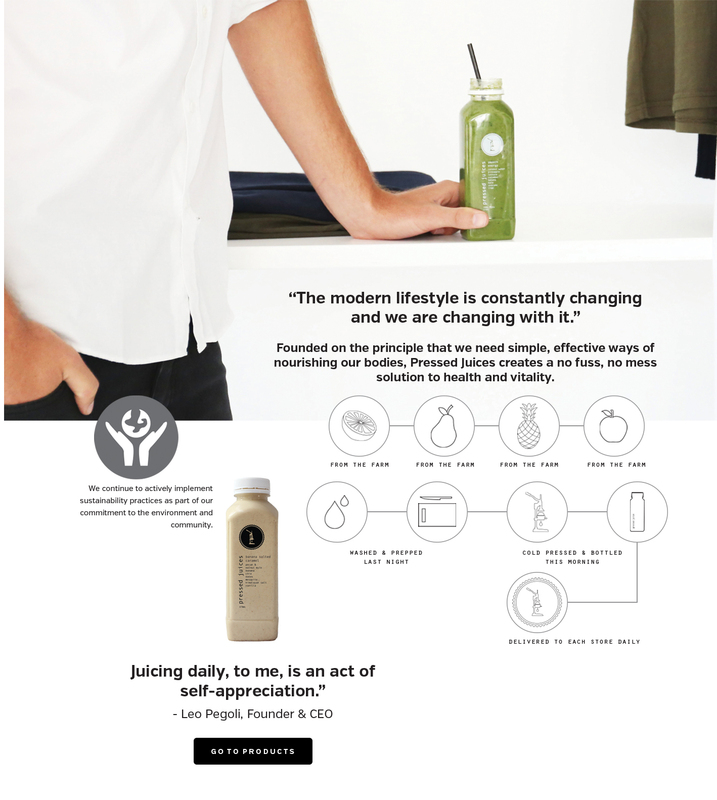 Drinking our fresh Pressed Juices will provide an instant nutrient and sustained energy hit. Give your body the tools to heal and thrive, deal with stress or illness, sleep better, and feel more dynamic and energized with Pressed Juices. Packed with a multitude of vitamins, minerals, antioxidants, enzymes and other plant nutrients, Pressed Juices is simply the best way of getting the ‘good stuff’. We start with a whole lot of fresh fruit & vegetables sourced from local Australia farms that provide us with chemical free produce. Every new season, our team spends time researching what is in season so our range can evolve with the changing seasons. Our juice vans leave for our Pressed Juice stores that day to stock our fridge shelves with fresh cold Pressed Juices everyday. 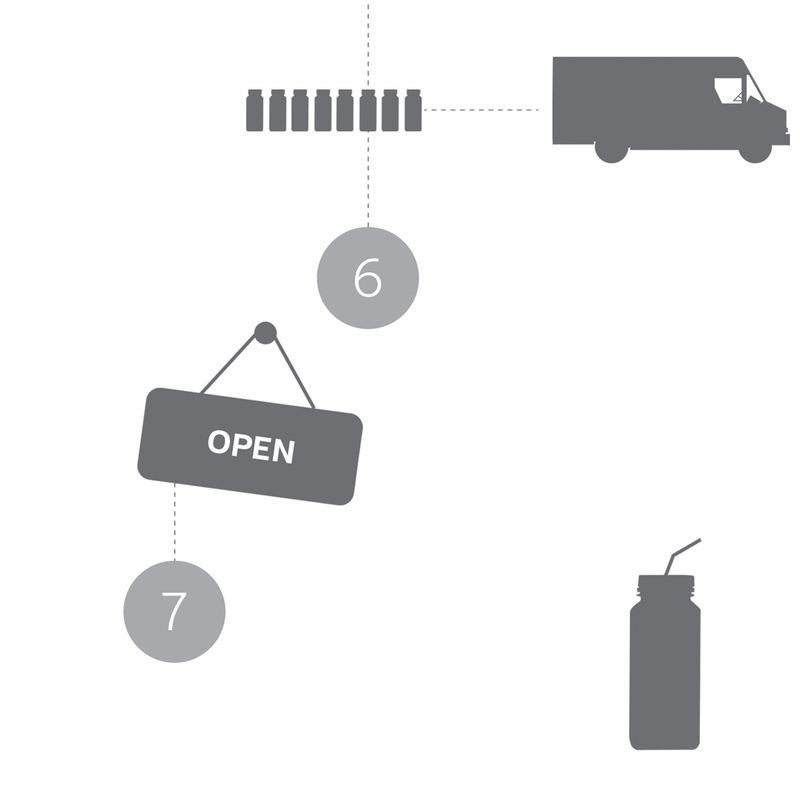 We can deliver your favorite Pressed Juices, straight to your home or workplace. Delivery is available to selected metropolitan areas across Australia, Monday to Friday. All our juices are delivered to our stores daily where we stock cold pressed juices, nut mylks, smoothies, organic elixirs and a food range. Each of our stores are managed by a qualified Nutritionist who are available to chat to at any time about your health and wellness. Drinking our fresh Pressed Juices will provide an instant nutrient and sustained energy hit. Give your body the tools to heal and thrive, deal with stress or illness, sleep better, and feel more dynamic and energized with Pressed Juices. Packed with a multitude of vitamins, minerals, antioxidants, enzymes and other plant nutrients, Pressed Juices is simply the best way of getting the ‘good stuff’.